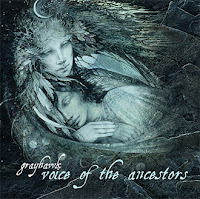 Grayhawk's visionary and ambitious album, Voice of the Ancestors, serves as a triumphant conclusion to his Shamanic Trilogy (began with Shaman Journey and continued with Blissful Magic – Spiral of the Celtic Mysteries). Actually, labeling this album as "ambitious" is an understatement what with its various global influences and its being anchored by an assortment of events occurring over a span of 11 years, beginning with the tragic death of his son, Christopher Emmet Gibney who passed away 3 weeks shy of his 3rd birthday, and also including the events of 9/11 and travels to Asia in 2015. All of these elements come to play as both indirect and direct influences for the mesmerizing and deeply spiritual music contained on Voice of the Ancestors. The album itself, while having distinct world beat flavors, also features motifs from the new age and ambient genres as well. More than a few tracks feature some kind of vocals (e.g. "Peace Prayer" features vocalists singing/chanting in English, Hebrew, Arabic and Farsi). Besides Grayhawk's keyboards and synthesizer work (across a variety of interfaces), a plethora of highly talented musicians (some well-known to me, others proving to be a discovery) contribute on an assortment of instruments. Those folks include Hai Phuong on dan bau (a single-stringed Vietnamese instrument), Wouter Kellerman on flutes, Amy Shulman on concert harp, Brad Dutz on percussion, Windwalker Dorn on Native flute, Vito Gregoli on ambient guitar, Jill Haley on English horn and oboe, Karen Olson on viola, and Kirsten Vogelsang on cello. Vocals were handled by Randy Crenshaw, Windwalker Dorn, Darlene Koldenhoven, Ofir Engel (Hebrew and Arabic) and Bahman Mojallal (Farsi). When evaluating an album like Voice of the Ancestors, so broad in its scope and so personal to its creator, it’s difficult to find adequate words to properly describe the music in both literal terms and emotional impact (the latter, of course, being entirely subjective). However, it’s hard to not feel impacted by the intent of the album’s message (primarily, seeking a pathway to peace for our planet) as well as the beautiful musical treatments which carry that message. The opening "Transcendent Soul" is dedicated to Grayhawk's now deceased son and it may be the most beautiful piece here, graced with Shulman's delicate harp and Kellerman's flute playing, as well as violin and viola (Vogelsang and Olson) against a serene backdrop of subtle bells and ambient textures. The track is classic new age music as if lifted from the golden age of the genre. Track 2, "The Banteay Srei Temple" marks the emergence of world influences and the song has a marked Asian flavor throughout, as Shulman's harp is counterpointed by Phuong's dan bau, as well as digital erhu by Grayhawk. The mood is somber, restrained, and draped with a blend of mystery and beauty. "Guardians of Goddess Thien Hau" subtly evolves the musical motifs and themes from the preceding track, doubling down on the air of mystery. The title track begins with a quiet slow-tempo beat and airy melody, the rhythm imparting a subdued air of sensuality. Flutes waft in the air over vocalizations from Crenshaw and Windwalker. Traces of the ethno-tribal genre are discernible here and Gregoli's ambient guitar and Dutz's percussion contribute a lot to the song. After the short "Peace Prayer A Capella" (which sounds like a church hymn – meant in the best possible sense), the album's focal point, both thematically speaking and from the standpoint of it being the longest track, "Peace Prayer" brings Grayhawk's vision of a quest for world peace to fruition, featuring vocals sung in English, Hebrew, Arabic and Farsi. The longest track on the album (10:08) features a mid-tempo percussion beat and has less of an Asian flavor and hews closer to a blend of world chant and new age influences. After the opening English choir vocals, the non-English solo vocals are heard (Hebrew, followed by Farsi, and then Arabic, performed by the vocalists referenced earlier in this review). The blend of music and vocals is gorgeously mixed and utterly mesmerizing in its effect. The album closes with the 8 minute "Ambient Meditation" and a radio-edit of "Peace Prayer." The former, an instrumental (although with some "ethereal" vocalizations from Crenshaw) is, per the liner notes, a free-form improvisation based on the album's assorted musical themes, but I hear it more as a coalescing of the world influences spread throughout the recording. At times, Windwalker's Native flute is pronounced, as well as Dutz's percussion and Gregoli's ambient guitar, and as a result, this cut has a more pervasive world fusion feel to it. Voice of the Ancestors is one of those recordings that serves to define an artist's oeuvre, and in this case, it captures Grayhawk's passion and commitment to making the world a much more peaceful place, as well as displaying his affinity for, and love of, other cultures and other peoples of this planet. It's a sumptuously recorded work and beautifully engineered in every aspect (mixing was by Steve Shepherd and the album was mastered by Robert Vosgien at Capitol Studios Mastering). Each artist brings their "A" game to the finished product, united by Grayhawk's almost unreal attention to detail. This is an album that deserves to be heard and appreciated by people all over the planet. Violist Karen Olson is no stranger to imaginative and creative music vision. Her two previous releases, Covergence and A Hero's Journey (winner of Zone Music Reporter's Best Neo-Classical album award in 2018), each push the boundaries of contemporary classical recordings. However, even with Olson's track record of recordings that push the envelope, SongPath is an artistic triumph of near epic proportions. Her vision for the album is revealed in the CD's liner notes, "[SongPath]…has been the unfolding of my dream to create a musical experience for others beyond what words can describe." 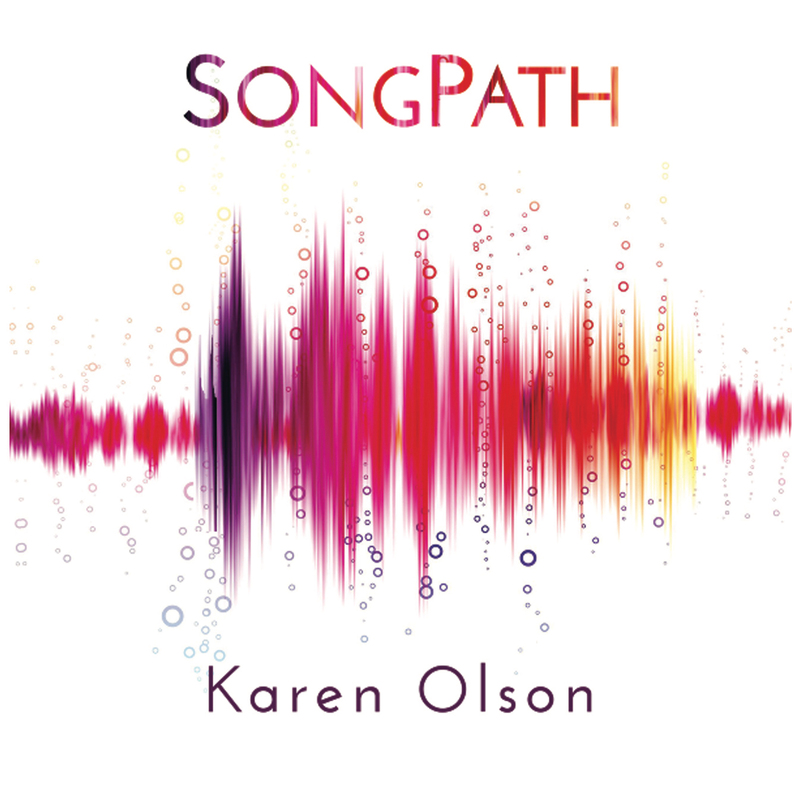 The album is the musical "partner," if you will, of Olson's book SoundPath – Using the Power of Sound and Silence for Health, Harmony and Happiness (available from Amazon). Again, quoting from the liner notes, "The music in this CD was created with a prayer that your listening will inspire the experiences described in the book so you can have a SoundPath, beyond words, that will transport you to new places within and without." Now, after reading the above, you might think the music on the album will follow the "usual" new age soundscape path of relaxing and meditative music, and I certainly thought that as well, that is until I played the first track, "Ever Peace," and then the second, "Why Not?" By the time I got to track 3, "Adventure," (my favorite on the album – more later), I realized that I should have known better than to expect anything "cookie-cutter" from an artist with the imagination and artistic courage of Karen Olson. 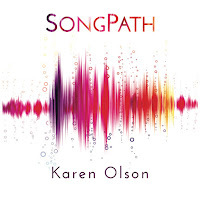 After playing SongPath all the way through, I was sincerely and deeply impressed with the width, breadth, and depth of not just the styles of music on the album (Olson either wrote or co-wrote all the music) but the 100 percent consummate professionalism of Olson and her guest artists. Of importance to note is that while this is undeniably her album, she is quite unselfish in not always taking center stage, but allowing others, such as pianist/synthesizer artist Carlos Cuevas or Premik Russell Tubbs (soprano sax, flute, ewi) to step up to the plate and share the spotlight! As a reviewer, the "downside" of an album such as SongPath is that it strains one's ability to adequately describe the music in detail. Instead, one is forced to use broader brushstrokes to paint a verbal picture of the music itself. That said, none of the nine tracks is experimental, avant garde, or inaccessible. Far from it. In fact, this may be Olson's most accessible album (to a wider audience) than her previous two releases, especially Convergence. During the course of the album, you will hear influences ranging from classical, pop, Americana, new age, and more. Occasionally a single track will even shift gears in mid-stream (I apologize for the mixed metaphor, folks). I actually get chills listening to this song, owing equally to the dramatic tone of the music, the emotive vocals, and the emotional wallop of the lyrics. Rather than go into a lot of details about the remaining six tracks, I will simply say that they contain the aforementioned variety of influences, e.g. the movie soundtrack feel of "Moving Higher," the quasi-ambient/classical ending song, "Serenity," and, for me, the biggest surprise (and absolute sheer delight) of the vocal track, "New Ways" which features Meihofer on some spoken word vocals alongside a fusion of jazz, funk, and trip-hop – and OMG does this work! It speaks not to just her versatility as a vocalist but also Olson's adventurous side including it on the album. I hope I have piqued your interest because SongPath is truly a ground-breaking album and each playing will unfurl a new musical sail. Not having read Olson's book, I can't address how well this "handshakes" with it, but even as a wholly standalone recording, SongPath soars to dazzling heights of imaginative composing and highly accomplished performing by all involved. Kudos to Karen Olson for once again pushing that envelope but never alienating the casual listener. SongPath is available at Amazon, CDBaby, i Tunes, and Spotify. 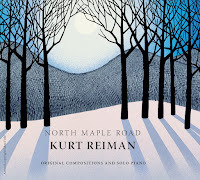 I was about three tracks into my first playing of Kurt Reiman's debut album, North Maple Road, when I thought to myself, "This can't possibly be his first album." Granted, the past year has seen a number of remarkable debuts by other artists, so maybe my surprise was just that I get so many solo piano recordings and to have one stand out so easily on the first playing, and also have it be an artist's debut! As Neo would say "Whoa!" North Maple Road sounds like the work of a seasoned veteran composer and performer. Reiman's exemplary control of tone, nuance, shading, and tempo across an assortment of musical moods is not just admirable, but nearly textbook. He is helped, of course, by spot on mixing and mastering of the final product (the recording engineer is Michael Haas, and the mastering was by Haas and Chad Irschick) but even with studio wizards, it's the compositions and playing that makes an album special. As I listened to North Maple Road a second and third time, I flashed on some of Jim Chappell's earlier works, most notably Acadia and Living the Northern Summer (although each of those feature piano and other instruments). There is the same melodic flow and lyricism of the main piano lines on Reiman's release as on those landmark albums (in my opinion). Also, just as Chappell can transition from bouncy and upbeat to meditative, relaxing, and nostalgic themes and motifs, so too can Reiman. While some of Chappell's music can veer over into a pop vein, North Maple Road, even at its lightest/liveliest, retains more of a new age/contemporary instrumental feel throughout. As a result, listening late at night, as long as the volume is subdued, will prove as rewarding as daytime playing. The album's extensive liner notes (which are primarily a huge list of detailed "Thank you's") makes it abundantly clear this project was intensely personal for Reiman and bringing it to fruition was a dream come true of sorts. The personal nature of the artist's music comes through on each note and some song titles speak directly to a particular track's impetus ("You're My Friend," "Walk with Me," and "You'll Always Be Here with Me," for example). A few songs indicate that the artist is also inspired by the beauty of New England, where he was born, such as the delightful and subtly cheery opening song, "Sunrise over Narragansett Bay," or the nostalgic romance that flows through the title track. One of Reiman's strengths is his ability to never cross over into maudlin faux sentimentality, so that even a track like "Push Me Higher Daddy" (which could easily become unbearably saccharine in some artists' hands) stays emotionally restrained but unmistakably laced with a father's love for his child. "Evening Snowfall" hints at introspection and flirts just a bit with a gentle minimalism, but also softly glows like the embers of a slowly dying fire. Besides the twelve enjoyable tracks, the CD is also graced with beautiful color photos in the liner notes as well as a warmly whimsical cover painting ("Snow Moon" by Sabra Field). North Maple Road heralds the arrival of an artist who I believe will become a major player in the field of solo piano music, and that is saying a lot when you consider how many recordings in that genre are released every year. 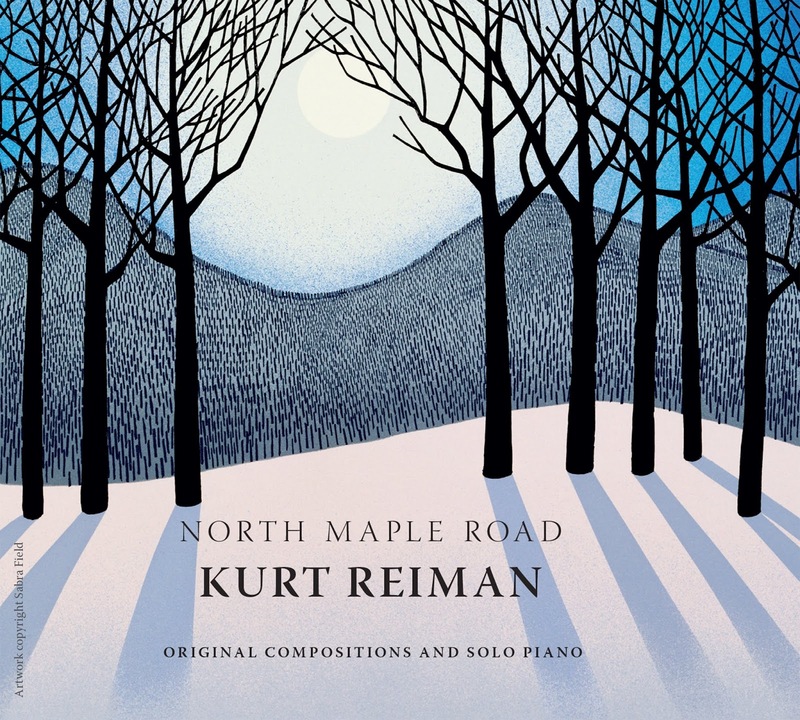 Take a trip down North Maple Road and let Kurt Reiman remind you of how beautiful melodies can whisk you away to a better place. Wind and Wire - A source for reviews of ambient, new age, world, electronic, and acoustic music since 1997. If you are so inclined and can afford it, please show your appreciation for Wind and Wire, past present and future versions. If you can't afford it, I still sincerely hope you enjoy this re-launch of the site. Thanks for your consideration! You are free to contact me about the status of a review but please know that reviewing music is not my full-time work so please be patient. NOTE: Submission does not guarantee a review but every CD will be listened to at least once, unless it is outside the genres I review. My past reviews for Wind and Wire have, for the most part, been mostly positive. Going forward, reviews will be both positive and critical. If you cannot bear to read a critique of your work that contains criticism, don't submit it. While my reviews won't be purposely inflammatory, I also won't be pulling any punches, either. If you have any questions, I prefer you email me before submitting any material for review. This saves both of us time and saves you money and effort.